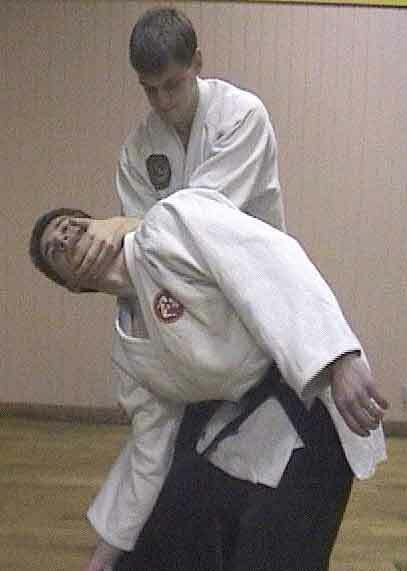 Butokukai Ju-Jitsu is starting to emerge from the shadows in the UK. Reserved until now in the UK to a circle of friends from around the world, Butokukai Ju-Jitsu classes are about to be made official in this country, and open for all. During a demonstration organized at the University of Oxford by Oxford University Asia-Pacific Society, two pupils of grandmaster Stefano Surace (10th dan) demonstrated the stunning efficiency of the techniques of his school. Without preparation, protection, mats or kit, two Oxford graduates, Hugh Roberts (2nd dan) and Dr Barry Derham (2nd kyu) astounded the audience with dynamic, non-violent self-defence techniques. Attacks in the form of punches and kicks were immediately countered with throws and locks.